Buying a visitor medical insurance plan for visiting USA or for travel to any foreign country is very important. In the America's (United States and Canada), health care is not cheap, and even minor injuries or sickness can lead to major medical expenses. Serious health emergencies requiring hospitalization in America can be financially disastrous without visitor insurance USA. Visitors medical Insurance is highly recommended and surely required when you have elder relatives or senior parents visiting USA. The quoted premium cost for buying visitor health insurance is low, when compared to meeting the actual expenses in bills in case of an unexpected medical emergency, which could easily run to thousands of dollars a day. With USA visitor insurance, you get the peace of mind to travel freely in America, and more importantly, get access to the best health care system in the world. US visitor insurance providers have designed short-term travel health insurance plans to handle such risks. Quote, review, compare, and purchase top-rated plans. 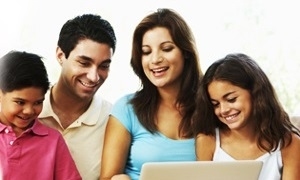 Review and select the best suited visitors insurance policy for you, your family, or relatives or parents visiting USA. Atlas America Insurance plan offers comprehensive travel medical insurance coverage benefits to foreign citizens traveling to America far a short term visit. The Atlas Travel Insurance plan is ideally suited for elder relatives or senior parents visiting USA. Atlas Premium Insurance is the best high-end comprehensive visitors health insurance plan with elite coverage benefits. Patriot America Insurance or Patriot Travel Medical Insurance is for individuals, parents, relatives, families, dependents visiting USA/Canada or travel to any other nation outside home country. Patriot America Insurance is ideal visitor health insurance for parents visiting USA and tourists to the United States. Patriot America Plus Insurance offers acute onset of pre-existing condition coverage also. Patriot Platinum Insurance provides first-class protection for the discerning USA visitors or international travelers. Liaison Continent Insurance is suitable for people visiting USA or traveling outside their home country for up to six months. Policy offers acute onset pre-existing condition coverage for non-US citizens visiting USA, and plan is underwritten by Lloyd's. Liaison Majestic Insurance offers long term protection, buy up to 364 days of coverage and renew up to 3 years. Diplomat America Insurance is an excellent visitor medical insurance policy for senior visitors to USA (even age 80+). Diplomat America Insurance provides Accident and Sickness medical coverage, travel assistance, and Accidental Death and Dismemberment benefits to foreign nationals while visiting the United States. Visit USA Insurance is ideal for tourists and visitors to the U.S. who come for pleasure, business or study, it is comprehensive coverage plan and is also suitable for new immigrants to the U.S., benefits are available per incident/illness, and the policy can begin as early as the next day. Inbound USA Insurance provides basic medical protection to citizens of any nation when traveling to the United States, it is an affordable low-cost fixed benefit insurance option when you have relatives or parents visiting USA. Visitors Care Insurance offers a broad package of fixed or scheduled benefits for individuals and families traveling and/or residing temporarily in the USA or outside their home country, plan suits parents visiting USA and looking for a budget or low cost plan that offers capped medical benefits. Visitor Secure Insurance is a low-cost plan for relatives or parents visiting USA or for travel abroad. Quote and buy VisitorSecure Insurance that provides affordable scheduled or fixed benefit travel medical protection coverage for immigrants or travelers to the U.S., or for visiting any foreign destination outside home country. Inbound Guest Insurance is a provides a simple and affordable program for visitors to USA. Quote and buy Inbound Guest plan that offers scheduled or fixed benefit coverage for relatives or parents visiting USA.